This is my second hair, is a variation of my medieval hair with buns, but is a long hair version for the maidens. Is in long hair category. Has it own thumbnail. Comes in all EA original color swatches. It is usable with other hats too, but will be a short tucked in version depending on the hat. 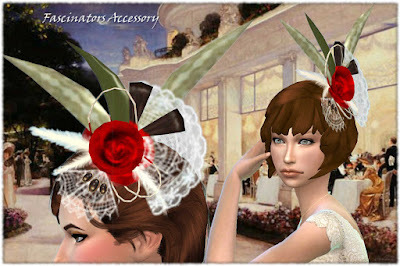 I also made an accessory to go with it, is a Gold/Silver Brocade Hairnets Cover for the Buns. Can be found in Hats and can be used with other hairs too, including my hair Medieval Side Buns. 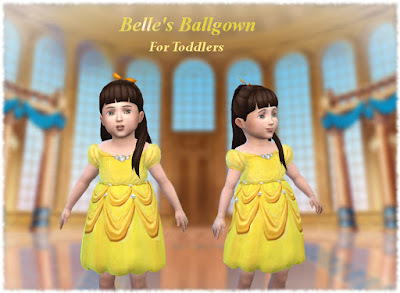 This is my Belle inspired ballgown for the little ones! Is a version of my ballgown for teen-adults-elders. Hope you guys like it. 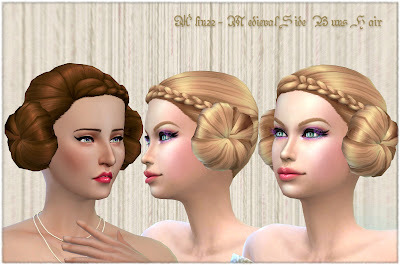 Is a new mesh edited by me. Comes in 6 colors . 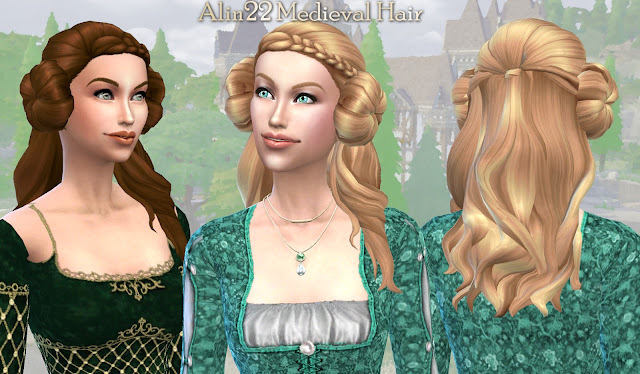 This is a hair I made thinking of medieval times. Is my first hair and an original mesh. 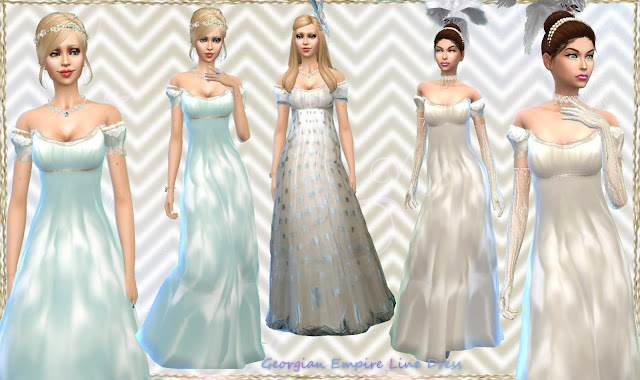 Comes in all EA/Maxis colors. Is categorized as medium hairs. Hat compatible. Base game compatible. You can recolor but please do NOT include mesh. A set of 19 dress options from the Georgian/Neoclassic 1800s period/19th century. All in one file. 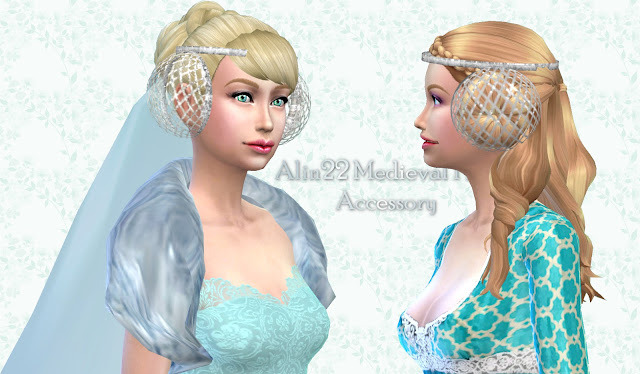 New mesh by me (you may recolor, just link back here). Only needs base game. Here is a fascinator, a angled tiny hat popular in the early 1900s, perfect for an Edwardian or Belle Epoch look. Is a conversion from the mesh by Almighty Hat/Rosesims for the sims 2. I used part of the original textures and modified them to more options. It can be found in glasses. (If anybody wishes I can try to make them as hats too). There are two positioning possibilites on hair you can pick (higher on hair or more close to it and lower). Is ok to have both at the same time in game. 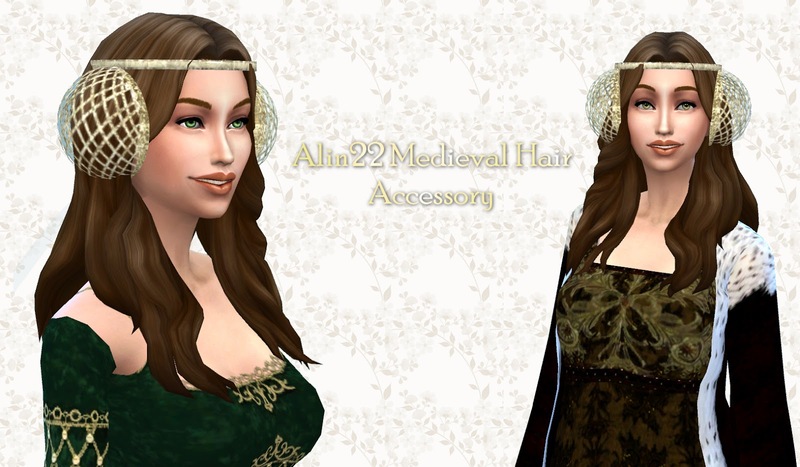 Obs: Since it has alpha in it for the lace and feathers details being see-through, it can look a bit clipped if used with hairs that have alpha/transparency like Stealthic's and Sintiklia's (but on game normal hairs and Maxis match hairs without transparency/shine it looks normal). So you can use with CC hair that has transparency (is those custom shiny looking hairs) but it might show some clipping in the feathers part of the accessory, and there is no other way right now to fix this effect with some CC shiny hairs. 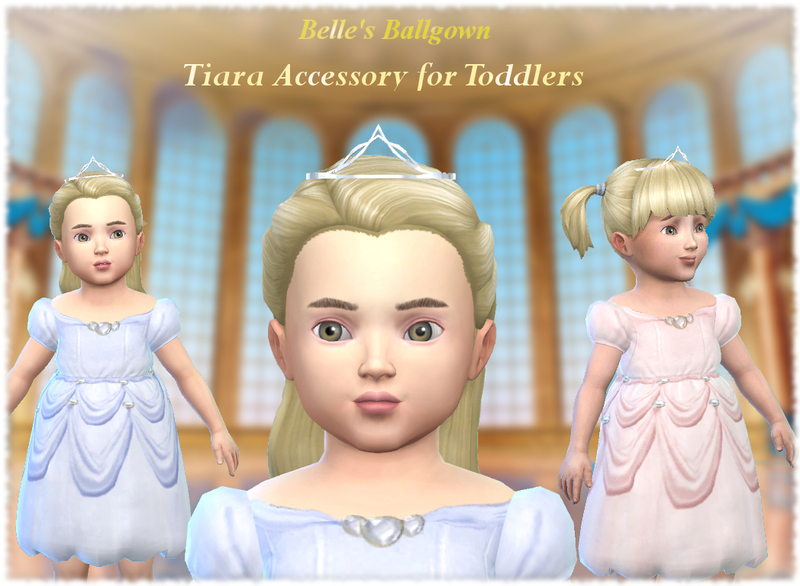 and for allowing conversions to sims 4 as published in his site TOU (since they don't play sims 4).